MM's Kitchen Bites: Mutton Pepper Fry...real food!! 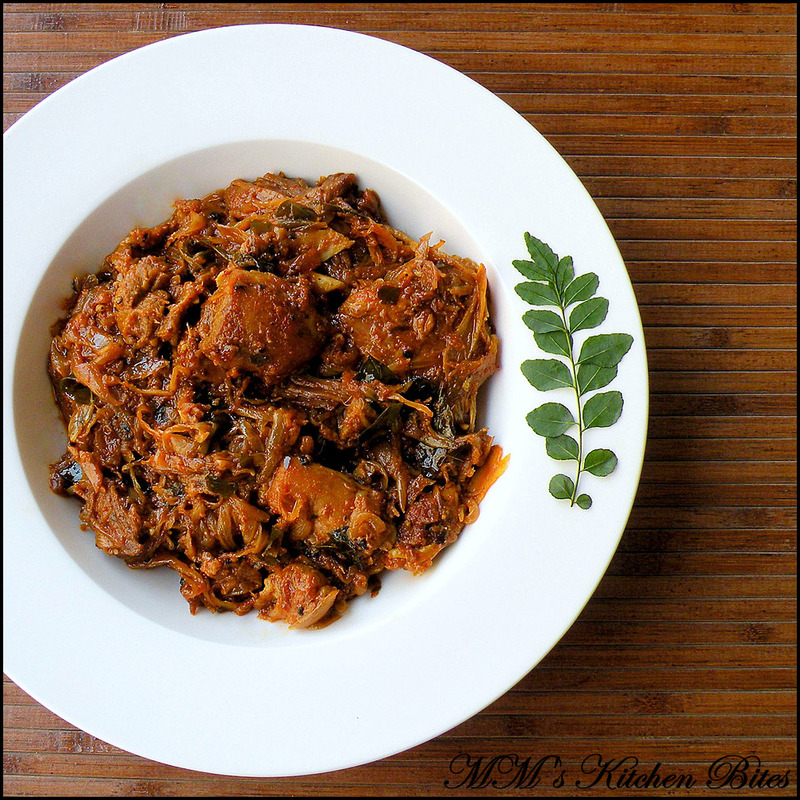 Mutton Pepper Fry…this post is for someone who thinks that I eat way too much chicken and not enough real food!! Wash and clean the mutton. Boil till tender with coriander powder, chili powder, turmeric powder and salt – about 20-25 minutes. You should be left with about ¼ cup liquid to be used later. While the mutton is cooking, light dry roast and then finely grind the green cardamoms, cloves and cinnamon. Keep aside. Heat oil in a wok/kadhai or a pan. Add in the onions and let them fry till they start turning golden brown. Add in the garlic, curry leaves and fry for a couple of minutes till garlic gets soft. Now add in the crushed peppercorns and the mutton with the liquid. Sauté for 2-3 minutes over low heat. Add in the spice powder, mix and let meat cook for a further 4-5 minutes until all the water dries up and meat is browned. Check and adjust for seasoning. Done! Option: you can add in some tomatoes if you want...increase the oil by 1 tbsp. Use 2 finely diced onions and when they soft, add in 3 finely chopped tomatoes. Let the tomatoes go mushy and release oil before adding mutton. This will give you nice smooth thick gravy. Is dhal good to go with this Mona? I made a dhal last night to test the water, (fab by the way, thank you!) and now I'm looking at which lamb curry to do that the dhal will compliment best! Bit tipsy turvy but I'm getting there! Murgh Saunf Kasoori...mix 'n' match! !